Wedding photography: How to do it RIGHT! With the recent boom in “candid wedding photography”, pictures from weddings have become starkly different from how they used to be in our parents’ times. No longer do we see pastel backgrounds against which couples pose uncomfortably. Instead, we now have couples going for natural and documentary photography that captures beautiful moments and not fake poses! If you are getting married soon, here’s what you can do to make sure you get the best wedding photography for your special day! There’s no harm in standing in front of a mirror and getting the hang of a few glamorous poses. Also, work on your smile because you’re going to have to do a lot of that in your wedding photography! 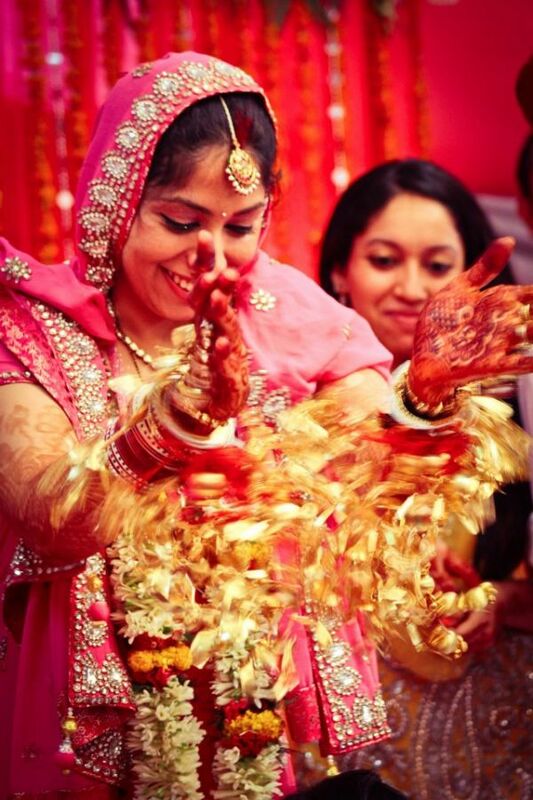 Hire one team to do traditional photography and hire another just for candid photos. Saddling the candid photographer with typical photography work is not always a good idea because then s/he can’t focus on capturing important moments at the festivities. We know it's tough to keep check throughout your wedding festivities, but try not to slouch or hunch your back. Keep your back straight and carry yourself with grace throughout the wedding photography. Hiring the right makeup artist is very crucial. Brides often end up getting too much makeup done and this can have a detrimental effect on your final photos. With the new high definition cameras in play, brides can actually get subtle and delicate make up done and the camera will have no trouble capturing all the magic! Schedule a session with your candid photographer for your wedding day, but before any of the ceremonies take place. 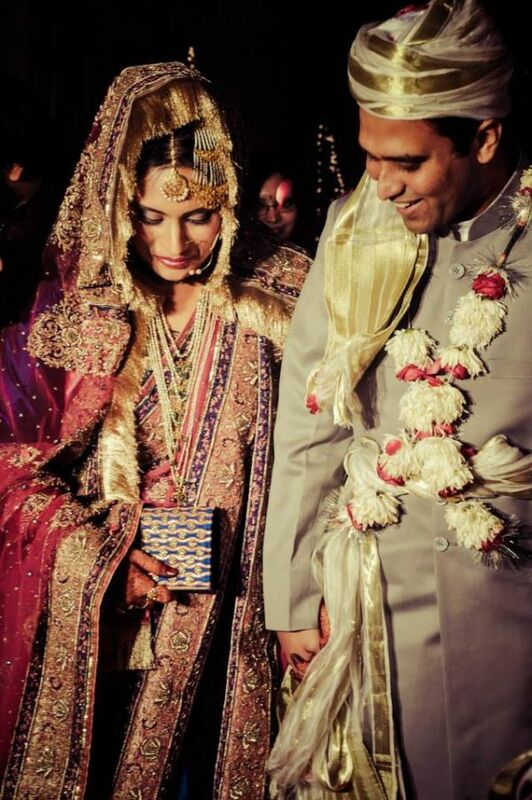 Indian weddings can go on for hours leaving the couple very very tired! You don’t want to look stressed or exhausted in all pictures right? Do a quick round before the ceremony and you’ll have a stress free batch of gorgeous couple photos! 7. Keep the Photographer in the Loop! Assign one person from the family who can brief the photographer about who the immediate family is and other important people who s/he must click great pictures of. There’s no better way to unwind and de-stress than to have a glass of wine before you dive into those endless wedding ceremonies. Drink, relax and laugh. If your eyes are smile, your wedding photo shoot will be more than happy. 9. Don’t Forget to Have Fun! No one likes to look at an identical stuffy wedding photo shoot of the entire wedding party standing around the couple, looking all formal with forced smiles on their faces. Ignore the camera and enjoy the company of your cousins, family members and friends. Trust us, you’ll get the best pictures this way! 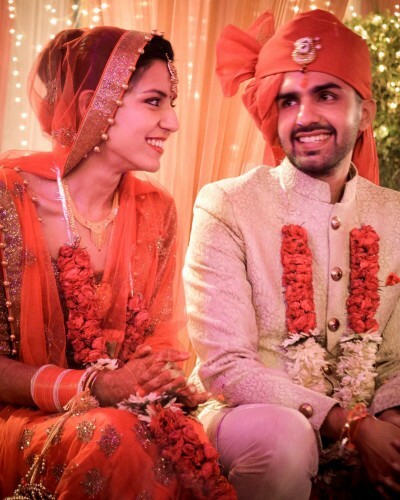 Image courtesy Ankit Mehrotra MUST-READ: The Ultimate Bollywood Playlist for the Desi Wedding! 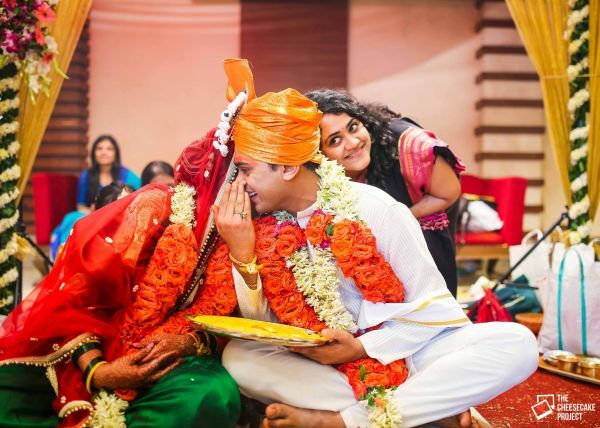 MUST-READ:12 Annoying Things That THAT Aunty Will Say at Your Wedding!